Hiring a contractor can be an exhausting, time-consuming, and frustrating process. How do you determine if a contractor knows what they are doing? Are they giving you a fair price? Will their work stand the test of time? Will you be happy with your decision after your project is complete? Remodeling your home can be challenging. We designed our process to ensure that our homeowners are confident that they made the right decision before, during, and after their project is complete. Hatch Remodeling is uniquely able to provide unrivaled Hardie install capabilities to our customers. This provides our homeowners with peace of mind knowing that their project is installed properly, that the manufacturers requirements are met, and that their project will last 30+ years. Properly installing James Hardie Siding is a complex project. When the manufacturers specs are met, Hardie Siding can deliver a high level of performance for 40+ years. The product is backed by a 30 Year Non-Prorated Warranty. However, when Hardie is not installed correctly then it will begin to show signs of failure in 5 years and will likely need to be replaced in 7-10 years. To make things worse, when Hardie is installed without meeting the manufacturers requirements, the homeowners warranty is void. Hatch Remodeling exclusively focuses on James Hardie Siding replacement because we strive to be masters in our craft. We are unwilling to offer our homeowners anything less than the best possible service delivery. It is impossible to be the best at everything. We chose to be the best at James Hardie Siding installation. When interviewing potential Hardie contractors, here is a small list of questions that you should ask. If a contractor mismanages any of these requirements it can lead to premature product failure and the voidance of your Hardie warranty. Have they read Hardies published install guidelines? When were the guidelines most recently updated? What install practices did they change after the update? Have they attended James Hardie’s Side Master training? What incorrect install practices lead to more premature product failure than any others in the Carolinas? 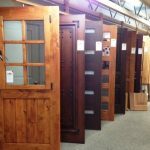 Why are Hardies required clearances important? What is the required roofline clearance? What is the required clearance from a deck or patio? What is the required clearance under sheltered areas? What is the required ground clearance for Hardie? What is the International Building Codes required ground clearance? What are Hardie’s step flashing requirements? When are they required? What are the kick out flashing requirements? When are they required? What is drip edge flashing? When is it required? What is valley flashing? When is it required? Do they use the required joint flashing? What purpose does it serve? What joint flashings are acceptable in Hardies warranty? What is the required clearance between gutters and siding? How far should roofing shingles extend in front of the fascia? What can happen if you use the wrong joint flashing? How do you treat horizontal breaks? What flashing is required? What is the required horizontal break clearance? Do you caulk that clearance? Do you leave space between two pieces of siding? Do you caulk between two pieces of siding? What special treatment do you take after cutting a piece Hardie? Do you caulk between the trim and siding? How much space do you leave between the trim and siding? What do they use as a starter strip? What are the required clearance gaps between the starter strips? How do you properly touch-up Hardie with paint? What paint do they use? Why do they use that paint? What is a cementitious break? Can metal be installed in contact with Hardie? What will happen if metal does come in prolonged contact with Hardie? What is a Weather cut? Why is it important? Where would you use one? When would you install a block? How do you install a block? Why would you? What is the minimum area where a block is required? Will they be using the required underlayment? Why is it important? Which underlayments are acceptable? Which underlayments our banned from Hardies specs? 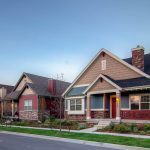 What is special about Hardie Wrap? Do you need to make any accommodations when transitioning from the first floor to the second floor? Do they miter their trim and/or siding corners? How do they ensure a tight fit? Which caulk do they use? Why do they use it? Is it color matched to Hardies product lines? How do they determine their nailing pattern? How do they determine siding pattern? What are the fastener requirements? How deep into studs do the fasteners need to be? Can you install Hardie when it is wet? Can you install Hardie in the cold? Can you install Hardie year-round? Can you install Hardie in the rain? How do you properly store Hardie? What safety requirements does the contractor mandate on the job site? What safety requirements are mandated by Hardie? What safety requirements are mandated by the State of North Carolina? What safety requirements are mandated by the Federal Government? If something goes wrong, how do you contact Hardie for a warranty claim? What does the warranty process look like? How long does it take Hardie to process a warranty claim? In this 5 minute video we counted 7 mistakes and inaccuracies, one of which WILL lead to premature product failure. Give us a call, we are happy to chat about it. One of the more attractive attributes that a contractor can possess is the experience that he or she can bring to a homeowners project. While every contractor says that their experience is superior, Hatch Remodeling actually has a unique level of expertise that advantages homeowners like no other contractor in the Carolinas can. 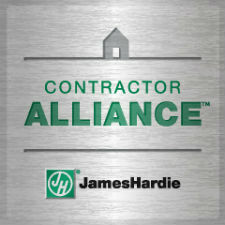 Ownership used to work for James Hardie Building Products. While employed at the manufacturer, Bill Gayler instructed other contractors on how to properly install Hardie materials to meet the robust requirement list. He also taught contractors how to offer a dynamic customer experience to homeowners. Instead of teaching others how to do, Bill realized that he can have a more significant impact by directly helping homeowners through the remodeling process. Hatch Remodeling would love to become your partner in your upcoming project. Fill out a contact form or call us today to get started. Quality of craftsmanship is one of the biggest drivers in determining your level of satisfaction. Experienced and educated installers are tremendously impactful to both how the final product will look and perform over time. All of our installers and project managers are Certified Siding Professionals through Hatch Remodeling. 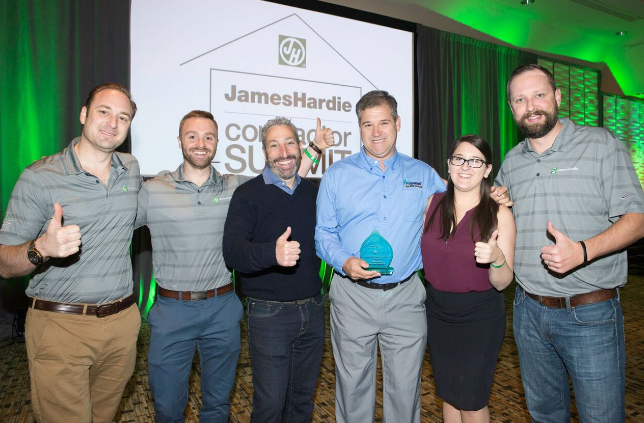 Additionally, every individual who will be working on your home has completed the James Hardie Side Master training program. Just like Hatch Remodeling, our installers exclusively specialize in James Hardie Fiber-Cement replacement. Would you hire your dentist to remove your appendix? Why not? They’re a doctor. The reason that you would not hire your dentist is because he or she does not specialize in that particular field of medicine. If you want to replace your siding with Hardie, why would you hire a vinyl siding or roofing contractor? We wouldn’t either. How often do you replace your siding? If Hatch replaces your siding with Hardie, then it can be around every 30+ years. The remodeling process is exciting because homeowners have a once in a lifetime opportunity to completely transform the exterior of their home. If you are going to do this type of project once, why not evaluate all of your options? Why not utilize the support of an experienced & talented design consultant? Hatch is not your typical siding, roofing, and window replacement company. Our customers benefit from industry leading design capabilities that serve the needs of every taste palette. We do this for one simple reason. Our homeowners are left with the home that they want. Get those creative juices flowing! Use our websites visualizer to choose an image from our gallery or upload a picture of your own house. Change the siding, roofing, and windows with a click of a mouse. Need a second opinion? Bounce ideas off of our design consultants. Home design not your fortay? Allow our team to generate some concepts for you. Fun fact – Did you know that there are over 1 Million combinations of James Hardie Siding products, colors, dimensions and textures? No matter what look you are going for, Hatch can deliver it with Hardie.